Ring News 24Boxing News Breaking Boxing NewsAre Anthony Joshua vs. Jarrell “Big Baby” Miller and Amir Khan vs. Kell Brook on The Way? In a somewhat surprising turn of events, a few possible fights may be headed our way that we did not originally expect for in 2019. 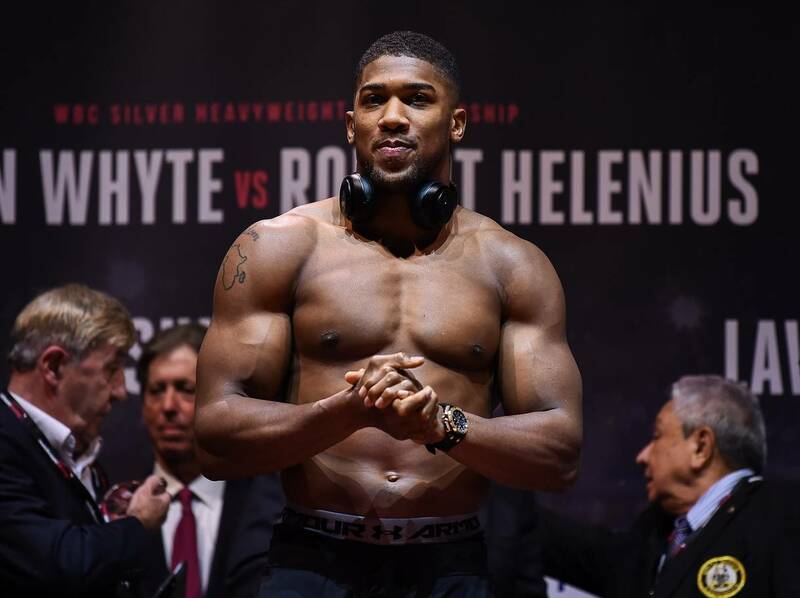 According to various reports, it looks as though unified heavyweight champion Anthony Joshua, holder of the IBF, WBA, and WBO belts, could be facing off with unbeaten American Jarrell “Big Baby” Miller sometime next spring, with the venue set to be likely in New York at Madison Square Garden. Joshua (22-0, 21 KO’s) was in New York this past weekend for Canelo Alvarez’s third round TKO drilling of Rocky Fielding, also inside of MSG, and his promoter Eddie Hearn claims he is very much open to the idea of making his American debut against the big-talking Miller (23-0-1, 20 KO’s). The idea was originally to have Joshua face off against an opponent to be determined on April 13 inside of Wembley Stadium in London, an arena that holds a capacity of 80,000. But Hearn is said to be trying to lure Amir Khan into a showdown vs. Kell Brook inside of Wembley on that date instead. Hearn works with both Khan and Brook and it’s a grudge match that has been brewing for years. With both these exciting fights potentially happening it would make an exciting night of boxing and one that could see you earn a lot of money, if you choose the right bet and bookmaker. Putting on a bet with 365 could be the right choice for you! There is reportedly a deal on the table for Khan (33-4, 20 KO’s) to face Terence Crawford in March for a reported $5 million, but insiders say that Hearn has swayed him with talk of accepting the Brook (38-2, 26 KO’s) duel. That fight would also be very lucrative for Khan as well and would leave Crawford in search of a new foe. It looked as though Joshua was in pursuit of a match with WBC heavyweight champion Deontay Wilder, or perhaps the winner of this weekend’s rematch between Dereck Chisora and Dillian Whyte. Wilder is coming off of a great battle with Tyson Fury on December 1st in which he scored a pair of knockdowns and settled for a split-draw. The majority in the sport feel that Joshua vs. Wilder is far away from happening and were expecting the champion to face the Chisora-Whyte II winner instead. But it looks like Miller may have shaken things up a bit. Miller is coming off of knockout over previously undefeated Bogdan Dinu and is slated for a January return. He also stopped former two-division champion Tomasz Adamek in October, so he has been a busy man and that could serve him well in a Joshua fight. Both Khan vs. Brook and Joshua vs. Miller would be showcased on the DAZN streaming app, as was the Canelo vs. Fielding fight, so this could be good news for Hearn. It looked as though Khan was on his way towards accepting the Crawford fight, but things are always changing in the sport of boxing and this is just another turn. And given how charismatic and outspoken he is, it’s hard to think of a contender to face Joshua at this point other than Miller.